With over 400km of coastline and 230 beaches and coves by the sea, there seems little doubt that the most difficult question will be: which one to choose? 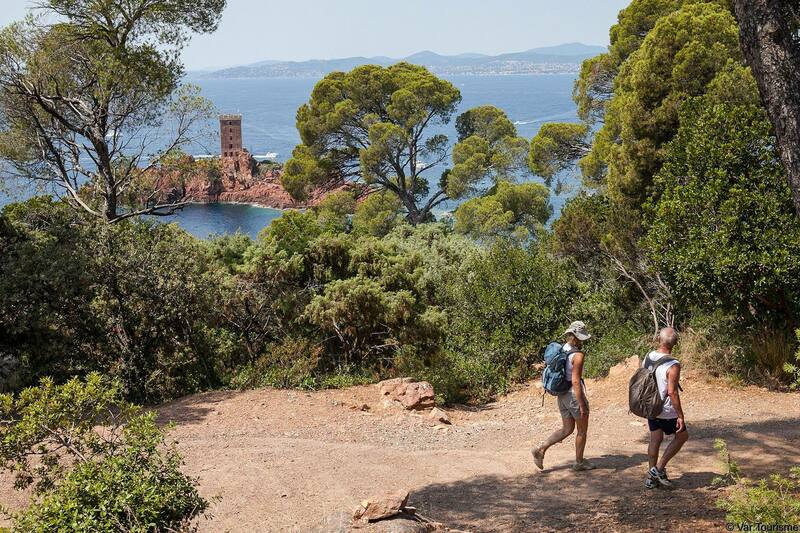 The first important choice: small, secluded coves or large, family beaches? Next, do you prefer pebbles or white sand? Or even, more specifically, grey sand or red pebbles? Disabled access? Nearby water sport facilities? Showers? Shade? Is the beach sheltered from the Mistral wind? Naturist? Wild? Whatever happens, the sun will shine and the water will be warm. 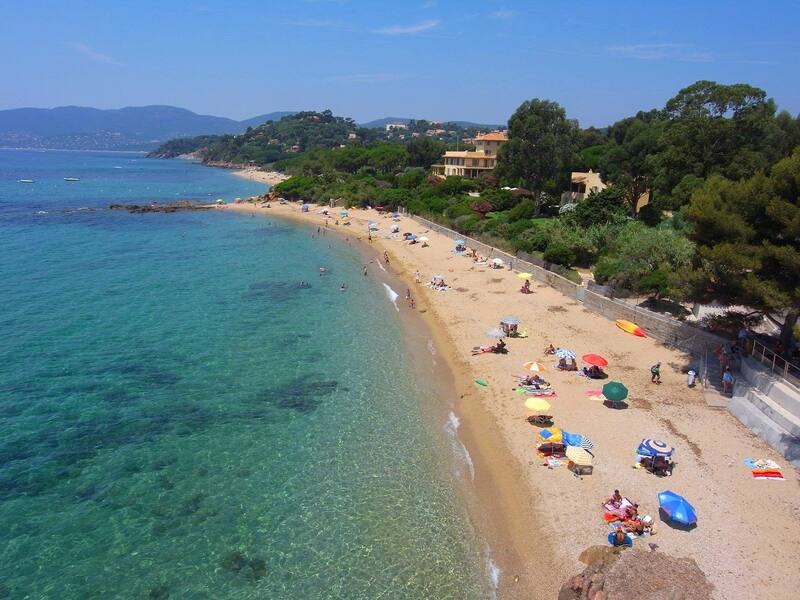 You’ll certainly find a beach in the Var that suits you! Combine physical activity with exploring the beach! Most of the Var coastline, islands and mainland is accessible along the coastal path. Following the water, you will discover pristine countryside and enjoy stunning views, breathe in the salty sea air and fresh pine trees! Although the towns and villages work hard to keep the path in good condition, some parts get destroyed by winter storms. Along certain sections of the path, you can combine hiking with breaks for bathing and a picnic. Put on your trainers and swimming costume! Seagrass are the ‘grasses’ at the bottom of the sea that tickle your feet, which many avoid when swimming and some dislike, because it turns the water a dark colour. This is also the plant that can be found along the beach, brown once dry, a thick rug by the sea. Some believe that this makes the beach ‘dirty’, but seagrass is actually a sign that the water is clean, and it is completely natural! Seagrass is a marine plant (not algae) and is incredibly sensitive to pollution. It is extremely common in the Mediterranean sea. 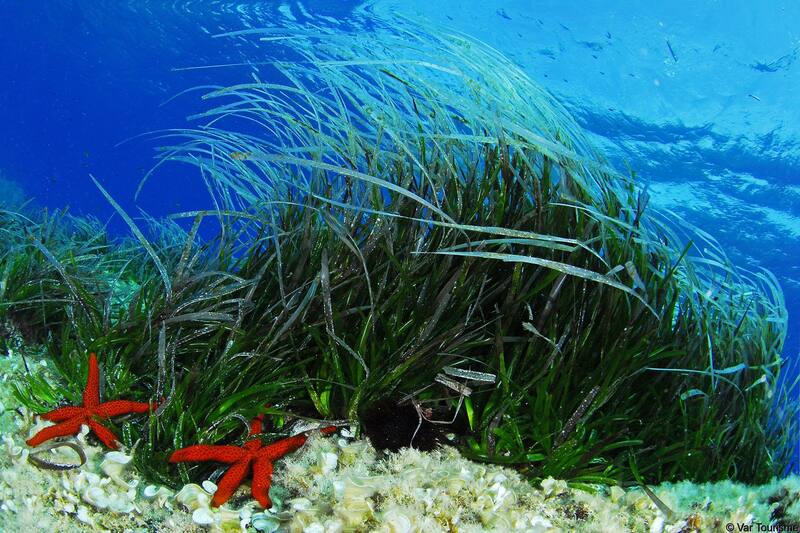 The sea grass bed is essential part of the marine ecosystem. It is the lungs of the Mediterranean, a nursery and place to live. By reducing the swell and slowing down underwater currents, it protects and limits coastline retreat. Sea grass retreats over the years. The pretty turquoise water is due to a sandy sea bed. Sometimes this is natural, but it can mean that the sea grass has disappeared. It is vital that we protect sea grasses. For example, in some areas, it is forbidden for boats to drop anchor or for bathers to swim. Its conservation is everyone’s business.